Dr. Mitchell is Professor of Computer Science at PSU, and External Professor and Member of the Science Board at the SFI. She is one of the premier scientists in complex systems from an artificial intelligence and cognitive science perspective. Her most recent book, Complexity: A Guided Tour, won the 2010 Phi Beta Kappa Science Book Award, was one of Amazon’s the ten best science books of 2009, and was longlisted for the Royal Society's 2010 book prize. 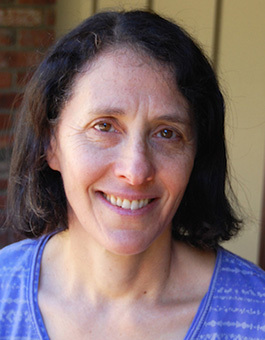 Dr. Mitchell also directs the Santa Fe Institute's Complexity Explorer project, which offers online courses and other educational resources related to the field of complex systems.